The average American doesn’t get a say in which stars, TV shows and movies take home Emmys and Oscars. But since 1975, the People’s Choice Awards — now named the E! 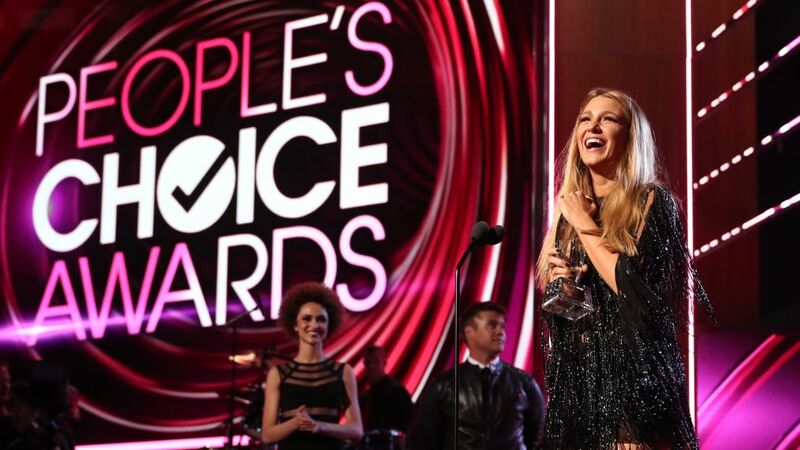 People’s Choice Awards after switching networks from CBS this year — have allowed everyday folks to cast votes for their favorites. Past victors include Seinfeld, starring Jerry Seinfeld, Little House on the Prairie, with Michael Landon, and The A-Team’s Mr. T (above, in 1984, with Drew Barrymore…a 2018 comedy TV-star nominee for Netflix’s Santa Clarita Diet). Ahead of this year’s ceremony, check out some of the other Choice stats TV Guide Magazine discovered. The weight, in pounds, of the brand-new brass trophy created by designer Anna Karlin that winners will take home this year. The previous Waterford crystal version weighed more than twice as much! 'Grey's Anatomy,' 'Shadowhunters,' and 'This Is Us' top the TV categories for the E! awards show. The number of categories at the original show. It has since ballooned to 43, with 13 new ones bowing this year. They include Bingeworthy Show of 2018 (Netflix’s Queer Eye and BBC America’s Killing Eve are among the nominees), Revival Show of 2018 (The CW’s Dynasty and ABC’s American Idol vie for top honors here) and the Style Star of 2018 (Beyoncé battles Blake Lively and others). The total number of viewers, in millions, who tuned in to see the 1977 ceremony, which remains the highest-rated installment to date. The number of times celebrities competed for favorite hair. Faith Hill topped that 2006 category, which hasn’t been back since. The awards will air in November, outside of the traditional awards season. The amount of crystal trophies collected by Ellen DeGeneres, the winningest star of all time. Up for three more awards this year, she could break her own record. Wow! E! People’s Choice Awards, Sunday, November 11, 9/8c, E!